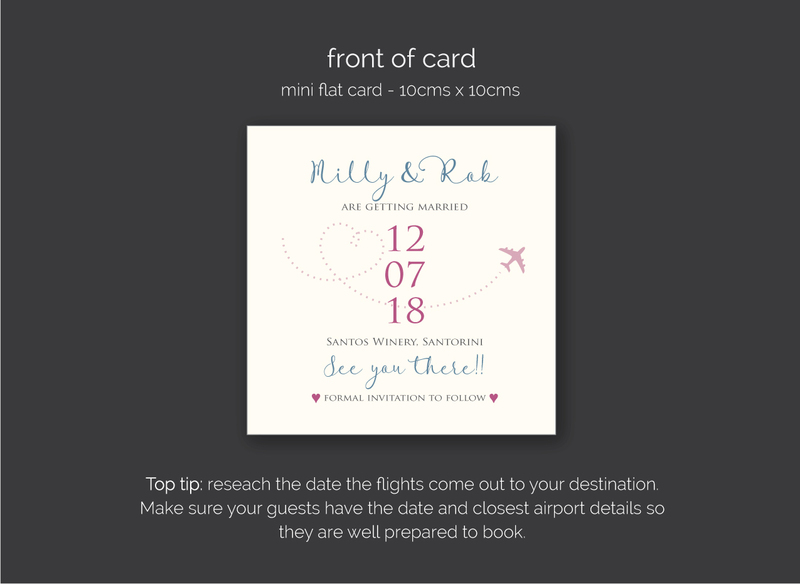 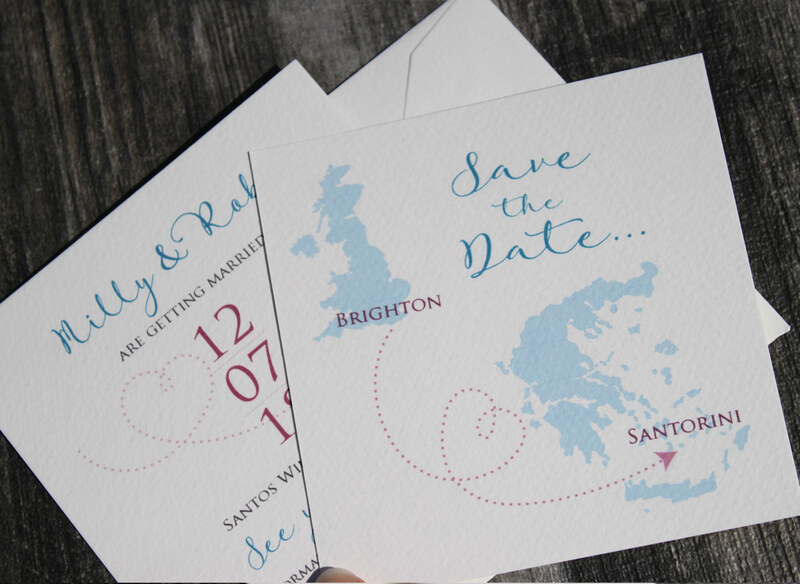 Add the date and a few basic details and thats all thats really needed on a save the date. 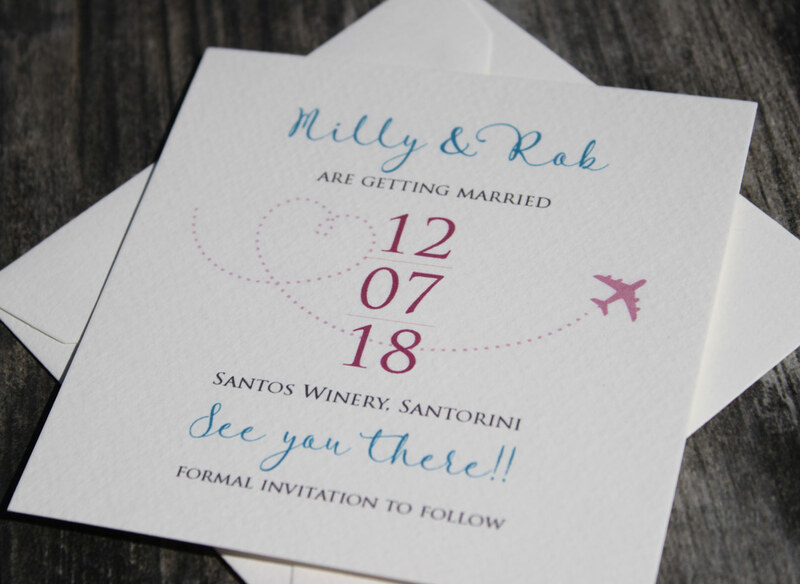 Give your guests a flavour of what is to come by the use of the fonts. 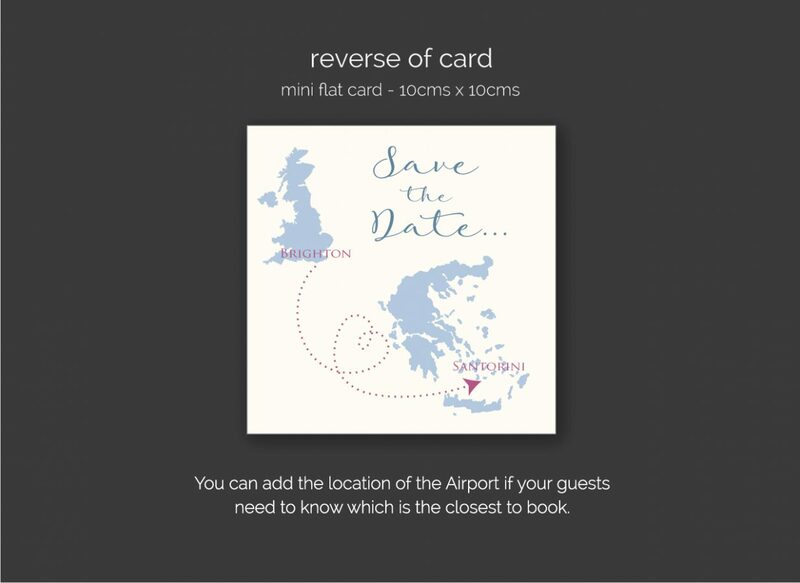 Always check out timings of when flights are released as that might influence when you get your cards out so they have plenty of time to bag a cheap flight.